November is Epilepsy Awareness Month. 50% off all month. Buy one for yourself and one for someone you love. Encephalitis almost ended Chris Maxwell’s life. The scar tissue in his brain and life with epilepsy made him – and his family and friends – feel like the life they’d known changed suddenly and permanently. For Maxwell and the staggering number of people facing traumatic brain injuries, epilepsy, or other painful encounters, life is experienced through a different lens. Names are tough to remember. Medication is a common acquaintance. Exhaustion, seizures, and mood swings are daily traveling companions. Maybe you can relate. Maybe you know about encephalitis, epilepsy, or another type of brain damage. Maybe you’re a caregiver not sure how to come ashore yourself. Maybe your story is different, but the feeling is the same. Depression, disability or disease has changed everything. Maxwell’s writing and the stories of others offer hope. Hope that you’re not alone, even when your experience underwater seems to change everything. “If any neurologist looks at Chris’s MRI of the brain and then sees Chris, they can’t believe they are looking at the same person. Chris could easily have gone into a deep depression over his illness. His tenacity to stubbornly refuse to lose is what made him into the winner in life that he is today. All are addressed — not by the medical community — but by a husband, father, grandfather and friend. Author Chris Maxwell and I had brain injuries simultaneously. Later I found out his epilepsy changed him much more dramatically than my grand mal seizure. Chris’ route back to his new normal includes ongoing struggles. One that moved me deeply was his revelation that his wife Debbie, as they went to dinner, wondered Which Chris will I be with tonight? Case studies, a glossary, websites and other sources make this a valuable tool for caregivers or those who want to fight back from a debilitating condition. Chris is an amazing human and is an inspiration beyond words! His story is not just for those that have epilepsy but for anyone that struggles in any aspect in life. His perspective and his perseverance will inspire you to keep pushing through life and not just survive but overcome anything that comes. There is hope in freedom! 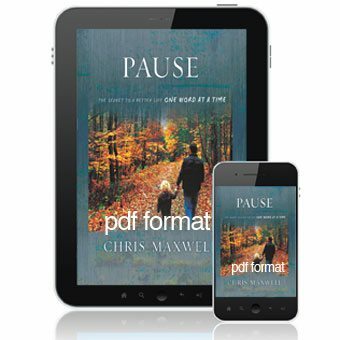 I just finished reading this book by Chris Maxwell and was truly inspired by the story that Chris shares. This is a book for everyone to read, regardless if you have ever struggled with epilepsy or not. If you have every had any struggles in life, you need to read this book. I found myself making notes of things that I personally can do to add value to my life and to the life of others. I highly recommend this book for anyone to read! Although I don’t have epilepsy, I found that Chris Maxwell has captured the essence of the struggle for anyone who struggles with mental health issues. His stories of people with epilepsy and their caregivers cuts to the heart of the issues they face. But he also introduced possible solutions through the way he and others have met their challenges, faced them, and overcome them–or at least learned how to live with them and thrive. Anyone who reads this book will find empathy and compassion that will encourage them. If you have ever been underwater struggling to breathe due to some unforeseen life event, disease or struggle, this book is for you. If you are a caregiver of someone struggling to swim, this book is a must read. Chris Maxwell opens his heart with his experience being underwater struggling with encephalitis, epilepsy, and brain injury. Whatever your storm, whatever is causing you to feel underwater – there is hope. 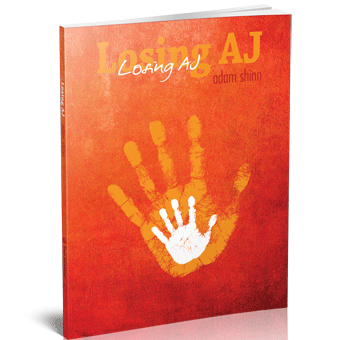 This book is an honest, real look at coming ashore! This book was masterfully written with the goal in mind to bring individuals and caregivers together who have struggled with epilepsy or a brain injury. It’s a book of stories of survival and hope. Chris Maxwell knows first-hand what it is like to recover from encephalitis. He knows what it is like to have epilepsy. “Epilepsy”. That’s not a word that I’ve ever been able to make positive, but Chris Maxwell makes it shine with hope. Many people with epilepsy long for hope and someone to relate to. This book can help. This book is filled with encouragement and suggestions to live a healthier, better life even if the reader does not have epilepsy. 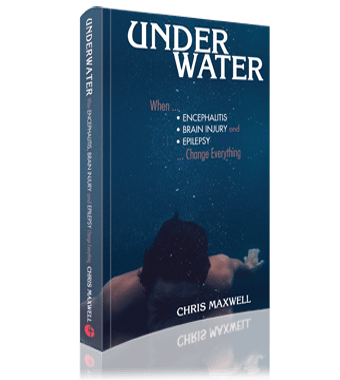 Using real life stories of people with various struggles, Underwater reminds readers that there are ways to compensate for “deficiencies” we may have and others who have gone through similar circumstances and situations. If you or someone you know is going through any kind of struggle, I highly recommend this book. 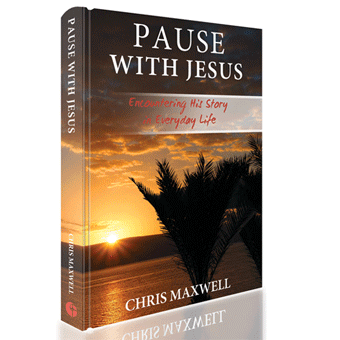 Chris Maxwell’s 21 year journey is masterfully written with grace, insight, practical help, and love. If you are, or know someone who lives with encephalitis or a brain injury, I highly recommend this book.